Why celeriac? That’s celery root, simply put. It’s a crisp root vegetable that needs to be cooked before it can be enjoyed, and one of the most underutilized ways of doing this, in my estimation, is by boiling it plain and simple. In its short heyday, which is still happening, the root tends to be roasted more so than anything else. There’s roasted, then mashed celeriac soups and purees, roasted root vegetable medleys with celeriac and shredded sautees. 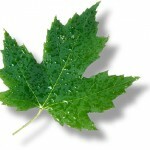 I love roasting this root, and many other things, as it brings out its sugars and more intense, concentrated flavor. But for a soup as savory as miso with dashi stock, a delicate touch of celery flavor seemed fitting. First note about celeriac, and one you’ll commonly hear: it’s ugly. It’s a warbled, wispy, impossibly dirty bulb that grows beneath the earth, unlike the stalks that bask in the sun. 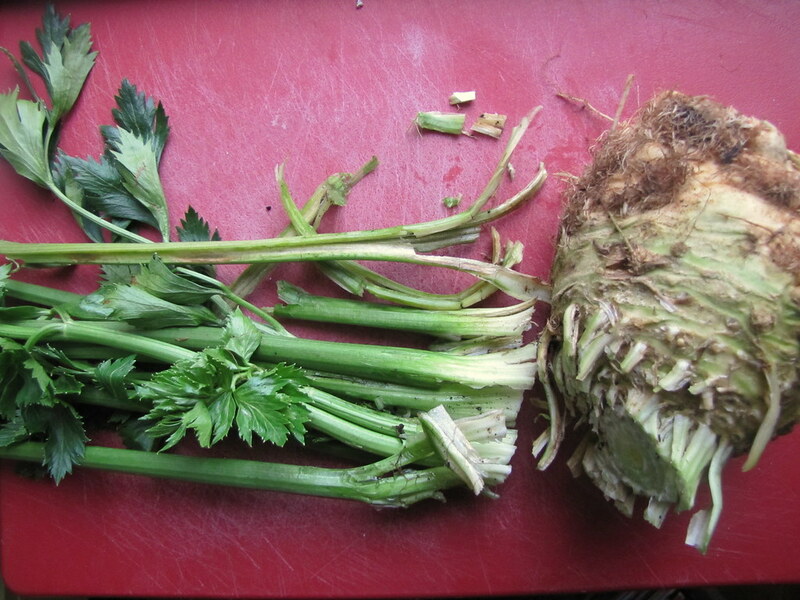 In comparison, the two parts of the celery plant are like a flock of fairies and an ogre. It’s not every day you’ll find them still attached, but at D&J Organic Farm’s stand at the Greenmarket last Friday, I did, and picked one up for $2, together. The stalks weren’t much of a score, I’m afraid to say; these veggies are generally grown in the best interest of one or the other: the stalks or the root. These were clearly cultivated for the root. The stalks were gangly and very fibrous, but the root was very large, and once trimmed of its tough skin, fragrant, pale and more juicy than most I’ve seen. Miso soup is a Japanese take-out staple, but it’s devastatingly simple to make at home. You just have to have a few ingredients on hand — thankfully ones that can keep in your kitchen for a while, too. Dried kelp called kombu is what anchors the stock. 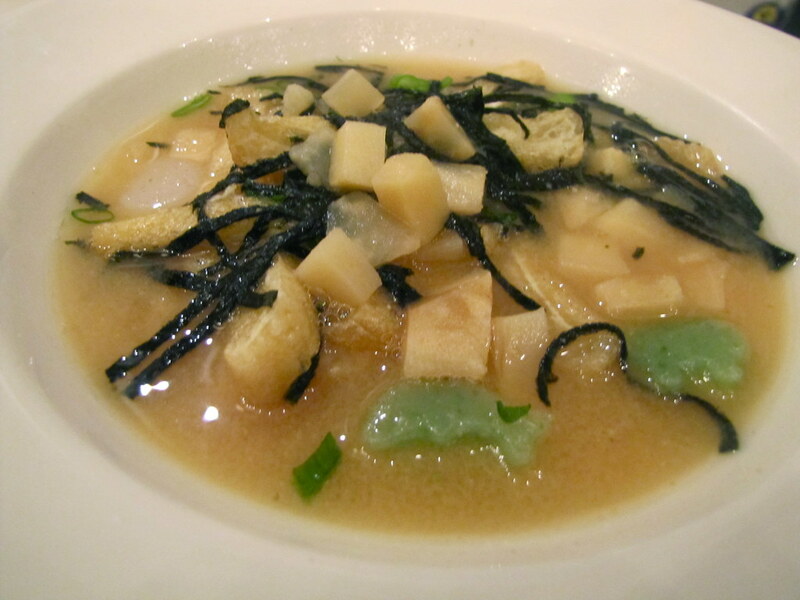 Called dashi or “sea stock,” it’s the quintessential soup base in Japanese cuisine. You dunk a chunk of dried kombu into a pot of water, let it sit. Then bring it to a boil, and let it sit a while more. Add a sprinkle of smoked fish flakes also known as bonita in Japanese; then drain it all and you have a lightly pungent broth — ta-da! The next part, turning this broth into miso soup, is so simple you’ll never want to order it again. Pick up a tub of white miso, in the refrigerated section. 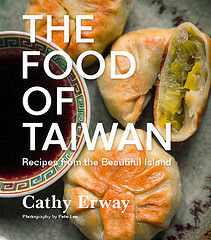 The fermented soybean and grain paste is so potent and distinct you’ll only need to stir in a spoonful. One friend of mine loves it so much he can eat it straight, with a spoon (yeesh — salty!!). And where do you get this stuff? At any Japanese or Asian grocery store. There’s nothing else that looks like kombu, bonita and miso so you shouldn’t have too much trouble finding them, even if you can’t read the labels. 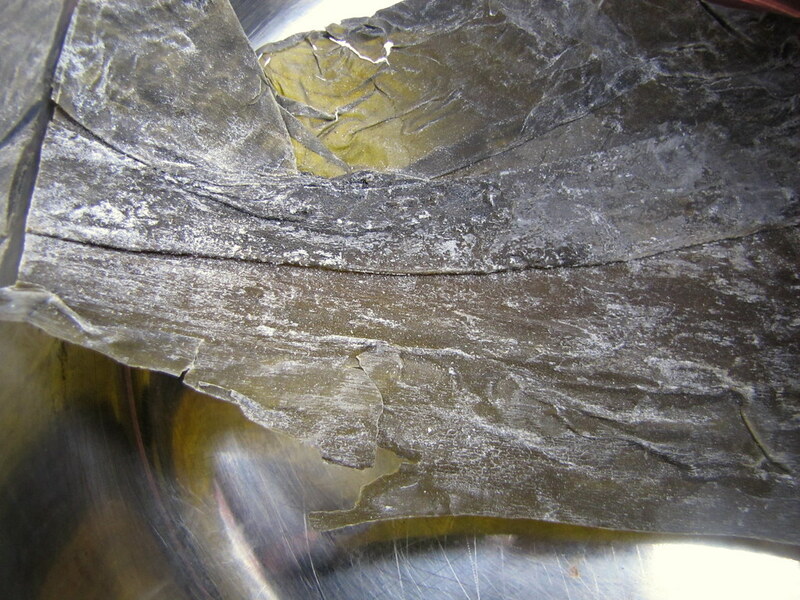 Just remember that kombu is thick and plasticky-feeling rather than thin and papery, like the roasted seaweed sheets, nori. Then the really kitschy part, which is not part of this recipe, but another dose of deception with food: at a recent Hapa Kitchen dinner, we served up our version of the seafood stew bouilliabasse. But instead of cooking chunks of actual seafood in it, we cut dolphin and other animal shapes out of konnyaku, the jelly-like Japanese yam cake. These swam about in the miso-dashi broth. It was completely Akiko’s idea, to be sure. The other chunky addition, the cooked-in celeriac cubes, was a collaboration of minds. Or, perhaps it was mostly Mark’s, our Whisk & Ladle Supper Club co-chef and host for that night, who had originally wanted to make a creamy celeriac soup. 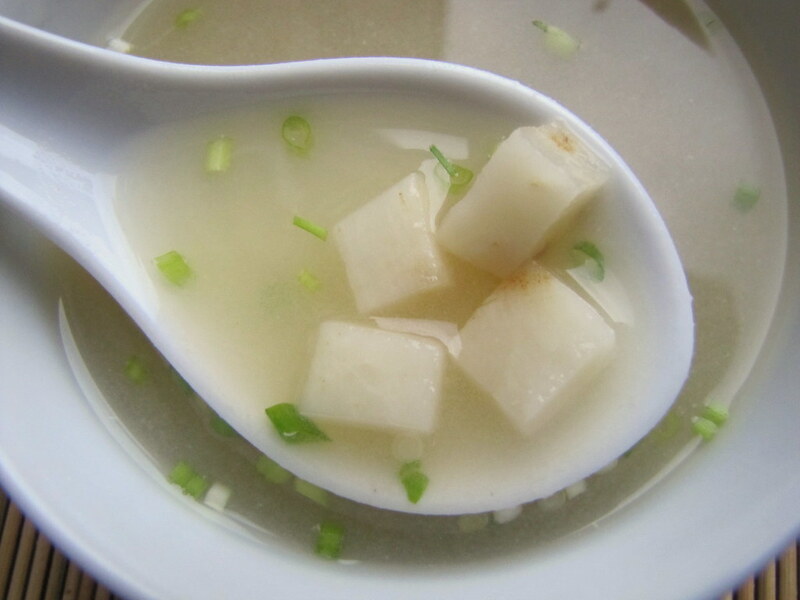 So we had celery root to spare, and decided to toss them in, to resemble tofu cubes. It worked. We had to explain this dish a million times to the diners. It was also topped with a fancy assemblage of nori seaweed chiffonades. I liked this soup so much that I went home and made it again, this time with just celeriac to see how it tasted, alone. It was every bit as good as I hoped, and I hope you can enjoy it now, too. Celery root, I think I’m turning you Japanese. Submerge the kombu in a large pot with the water and let soak for 10-15 minutes. Put over medium flame and bring to a boil. Remove from heat and add the bonita. Let soak for 3-4 minutes until the flakes begin to sink. Strain the solids from the liquid and return the broth to the pot. 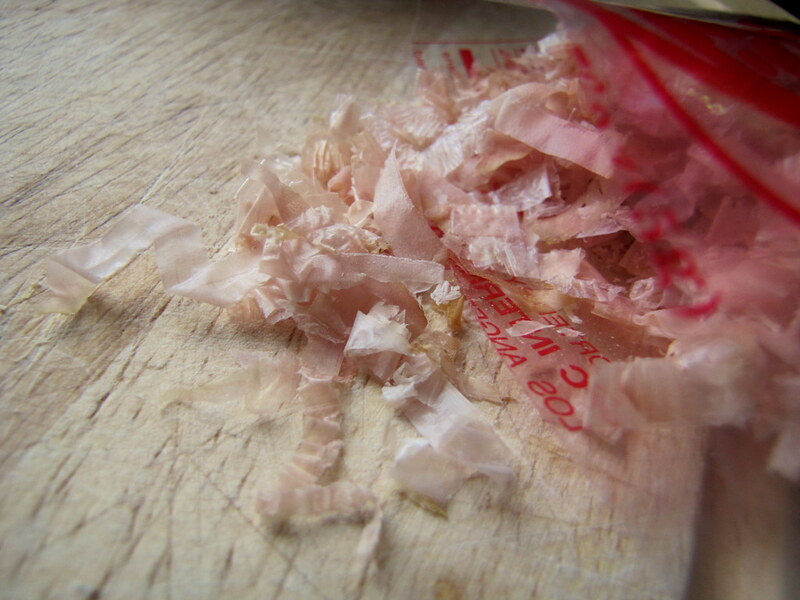 Reserve the kombu and cut some of it to thin strips, if desired to add into the soup. Stir in the miso and add the celeriac. Let cook over a low flame for 20-25 minutes, until the celeriac is tender. Add the scallions and serve. Four brownie points: While high in sodium, both miso and seaweed have unique health benefits. Seaweed provides not only fiber, protein and calcium but is a good, natural source of iodine and has immune-building nutrients that help fight against diseases like cancers. 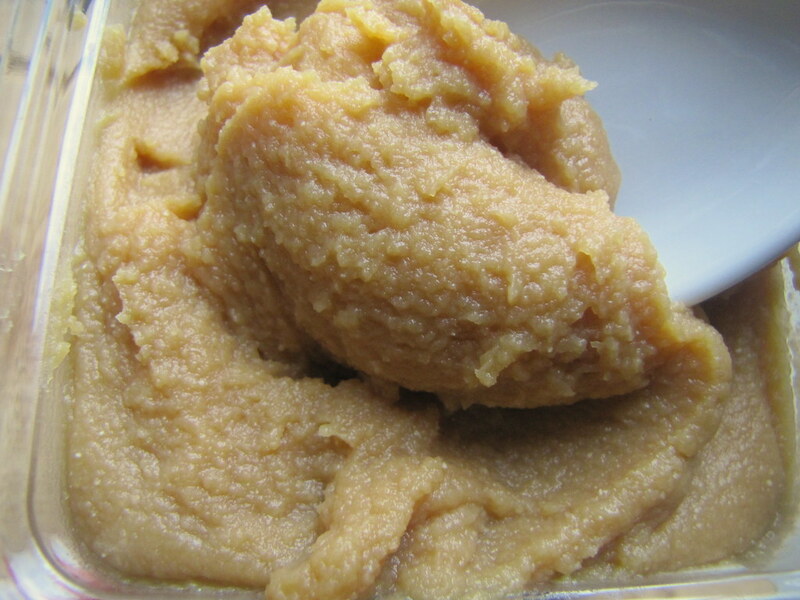 Miso is also rich in antioxidants, fiber and has some protein, though you’ll want to remember it’s a seasoning for its immense count in sodium. 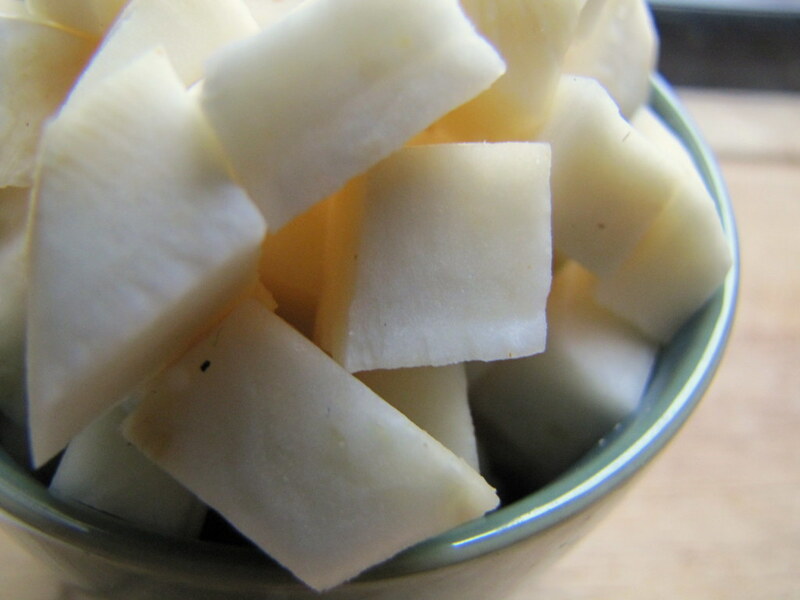 As fate would have it, celery root (as with celery stalks) is just a naturally salty plant: it’s high in sodium, and also has a fair bit of sugars. This flavorful soup altogether should give you plenty of fiber for the day, though, and is low in fat, cholesterol and carbs (celery root is sometimes pushed as a potato alternative). Four maple leaves: Celeriac is freshly dug from the dirt this time of the year so it’s a great farm stand purchase, for being so fresh and tasty. The rest of the soup’s flavoring ingredients were hardly local, imported from Asia, but kelp and seaweed in general is ridiculously plentiful worldwide and yet hardly eaten throughout Western cuisine, for the most part. I hate Celery but Celeriac is not half bad at all….as I discovered this weekend when I tried it for the first time ever. Celeriac and potato mash, Celeriac and potato soup with carrots and bacon and Celeriac and Apple remoulade with toast and salt-baked sardines. Definitely an autumn keeper! I hate tofu but love miso soup.